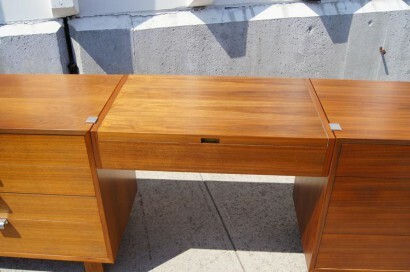 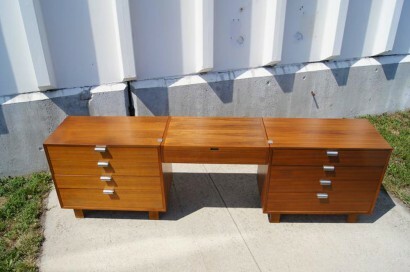 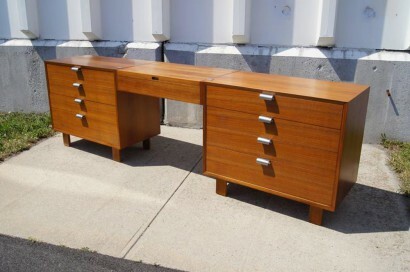 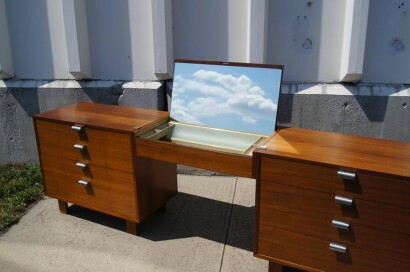 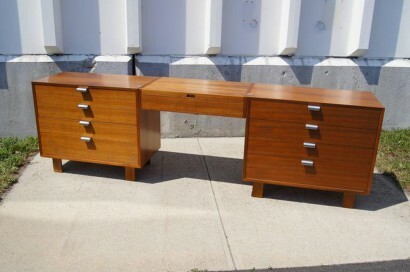 Part of the basic storage components that George Nelson designed for Herman Miller in 1952, this extraordinary set comprises two dressers in a warm walnut on either side of a suspended vanity. 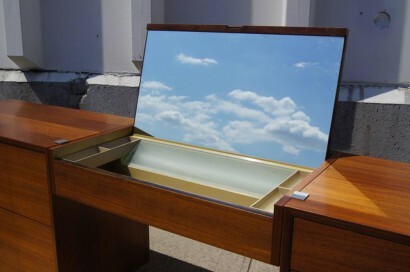 Each 34-inch-wide dresser contains four drawers with chrome-plated J pulls: The topmost drawer has six divided sections and the lowest has three dividers. 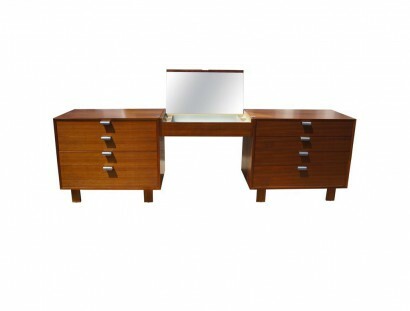 The matching 30-inch-wide vanity has a full-size lift-up mirror, an opaque interior light and cosmetic compartments. 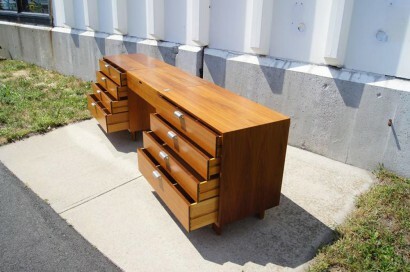 A corresponding five-drawer dresser or cabinet is also available.